You see many engineering applications that use the octagon to increase stengeth. This is simply due to the geometry of the eight sides and this is why you will often see crow bars built from octaganol steel. 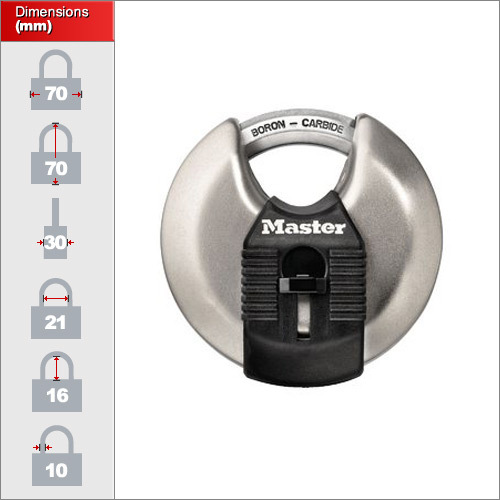 Masterlock is the first manufacturer to incorporate this technology into the shackle discus padlock making it more resistant to bolt cutting attacks. Unfortuantly it will not make much difference to attacks from hacksaws. 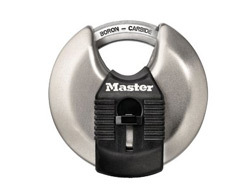 It also incorporates a key guard to help prevent dirt and grit from getting into the keyway. Please note that we do not stock this item as keyed-alike although on larger orders it is available from the factory.